According to AListDaily, 71 percent of consumers prefer to make purchases on the basis of social media references. No wonder 67 percent of marketers rely on social media influencers to promote their content. But the big question is, can small businesses afford such individuals who have a huge following on Instagram, Snapchat, and other platforms? The answer is, YES! The size of your organization doesn’t matter as long as you select the right influencer for your brand. Of course, you won’t be able to book a high-profile celeb like Kendall Jenner or Rihanna for your campaign, but what you can do is find niche influencers who enjoy considerable online presence to attract the right audience to your company. There are plenty of myths surrounding influencer marketing that deter small businesses from pursuing the same. For example, most organizations are under the impression that they need to allocate huge resources for influencer marketing to work. Another common misconception is that influencers are not interested in working with fledgling brands. You will also hear some small businesses mention how influencer marketing isn’t justified for one-time campaigns. But these are not true at all. Small businesses are perfectly capable of leveraging influencer marketing with exceeding their budget. According to a BlogLovin’ research, 84 percent of micro-influencers charge less than $250 for every Instagram post. And the money you spend will pay off big dividends, as the average business makes $6.50 on every dollar spent. What’s more, these micro-influencers are easy to find and connect with. For example, you will find plenty of them influencer marketing platforms like Influence.co. Know that social media influencers are considered real people by their audience, which explains why they post better engagements than actual celebrities. The people find them and the products/ services they market more trustworthy and “real”. Singular focus is necessary for your business to make influencer marketing work. Make it a point to know what your audience wants and then use influencer marketing to get it. That’s why it’s important to establish a well-defined and clear-set goal for your initial influencer marketing campaign. Remember, provide the influencer with content that boosts awareness about your brand and signals the launch of a new product or service. Also on the agenda is raising your brand profile among a particular segment of the audience, and improving conversions and sales. It’s a good idea to develop a package of material that makes it easier for the influencers to create content suited to your small business. Some important details include the brand limitations or guidelines on what influencer can’t or can say; creative support, including photographs, fact sheets, and other innovative materials, audience data, and brand background and campaign targets. Let the micro-influencers take over the reins over from your company. Once they know your target audience, they can create their own plan to connect with that group in the most authentic way possible. Offer suitable support and guidelines for the influencer to succeed, and then place your trust in them. All you need to do is establish the vision and then leave it to the influencer to work their magic. Your main criteria for choosing the right material is the value it adds to the influencer’s audience. Perhaps you can provide something that increases the success rate of your campaign, like a product to raffle off or a gift card. You might even provide a discount code for the influencer’s followers. One thing small businesses should be familiar with by now is that audience loves value, and so when you take this additional step, you have a higher likelihood of generating immediate positive outcomes. 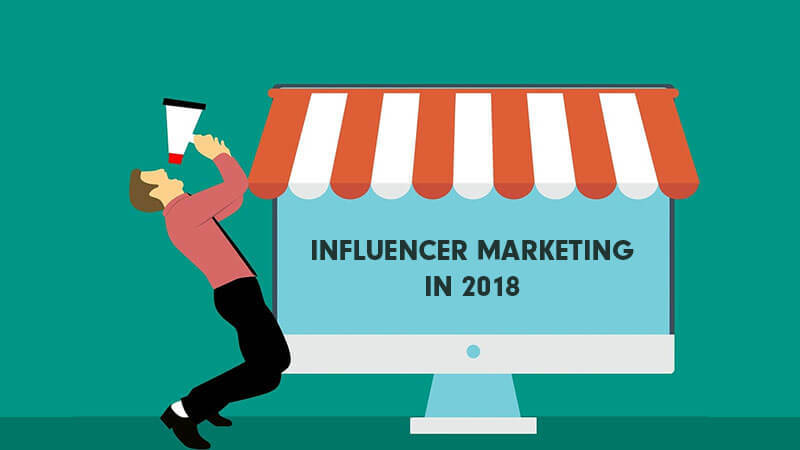 If you’ve been blowing up your marketing budget on AdWords and social media without any results, then it’s time to think of influencer marketing and the benefits it brings. Even better, influencers allow you to build your brand credibility on social media and gain an edge over the competition. David Fournier has been a business analyst since 2010 and also involved in the launching of startups companies for over 7 years. He has been writing for small to mid-sized businesses, assisting them with their business needs.